There's a great recap of the Quad Rock on the Gnar Runners Blog. 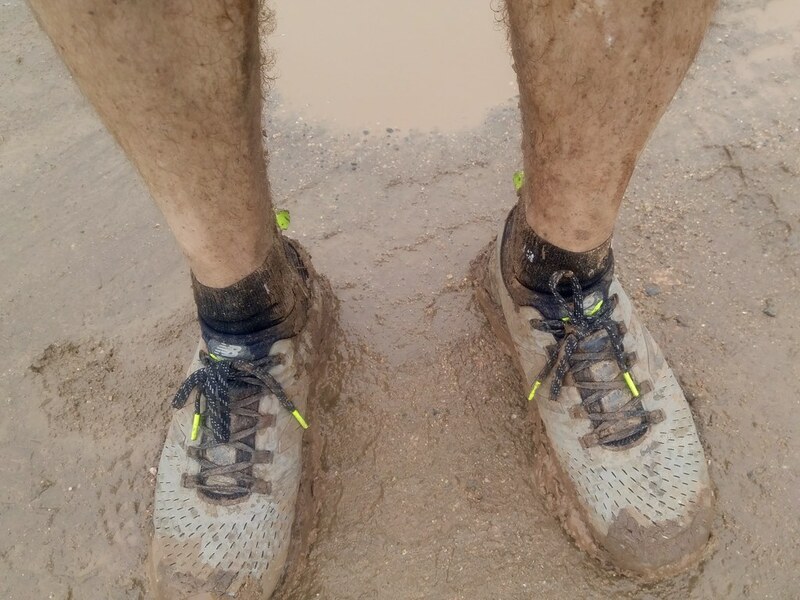 The photos of smiling runners in the mud are making my morning. 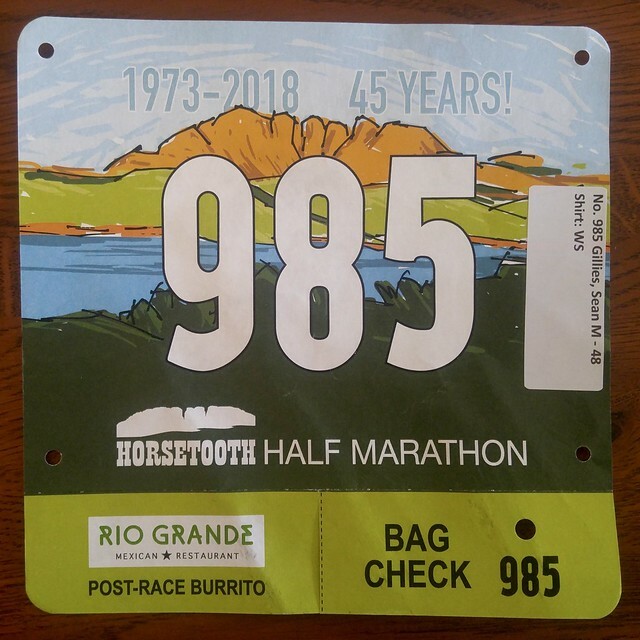 There are four more sleeps until I and a couple hundred other runners hit the trail in Lory State Park for the 2018 Quad Rock. 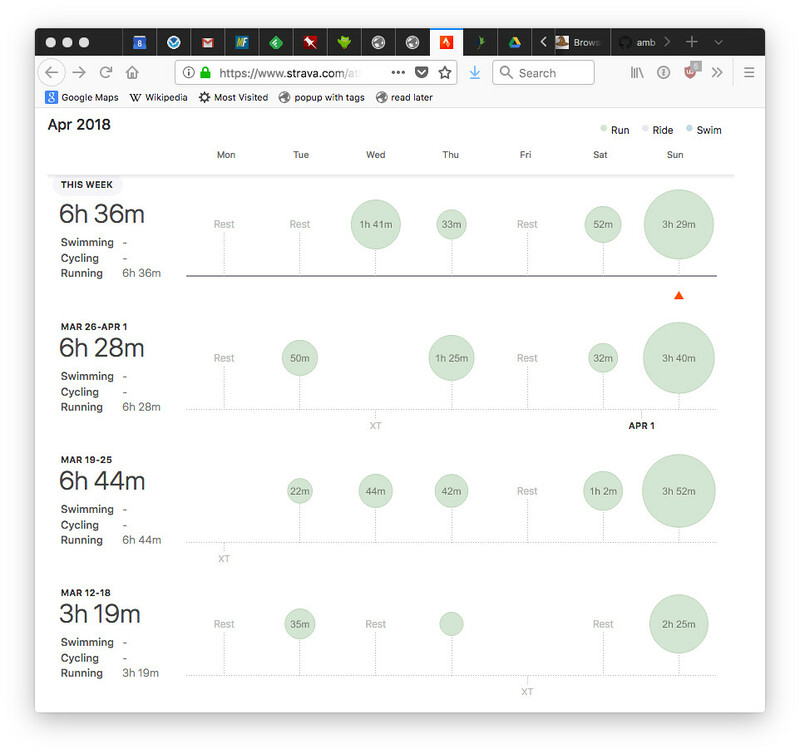 On April 22 I ran 33 km of the course, including all three summits, and can't wait to get back out there. This week it has been almost summery, but the forecast for Saturday is clouds and rain and temperatures only in the upper 50s (F). Pretty good for running, really! I'd love to carpool to the start. If you happen to stumble on this post and want a ride, DM me on Twitter (@sgillies). We can chat about maps and electric vehicles on the way. A year ago my family and I were living in Montpellier, France, and we took a road trip to Bologna during our Easter break. 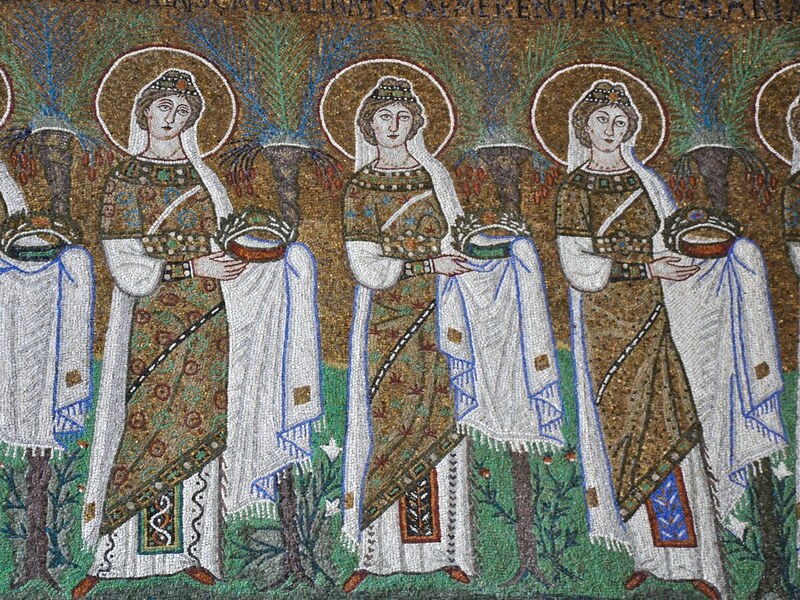 On the 12th of April we made a day trip to Ravenna, which is an hour east near the Adriatic coast. 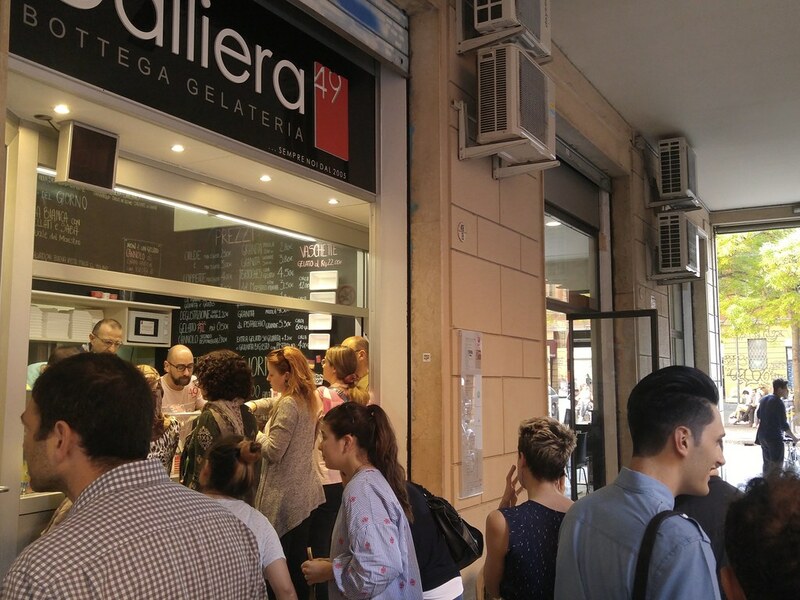 We toured several of the city's famous 5th and 6th century Christian sites, including the Basilica of Sant'Apollinare Nuovo, the Mausoleum of Galla Placidia, and the Basilica of San Vitale. Our kids loved the mosaics, especially the ones in the Mausoleum, which was both lovely and ever so slightly spooky. 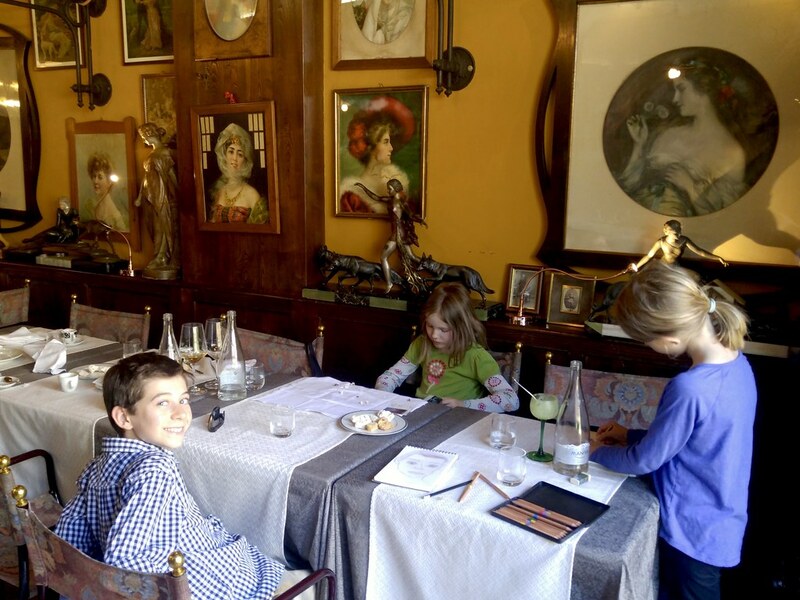 Because food is my primary passion, my favorite memory from the day is that of our long lunch at the Antica Trattoria al Gallo 1909. 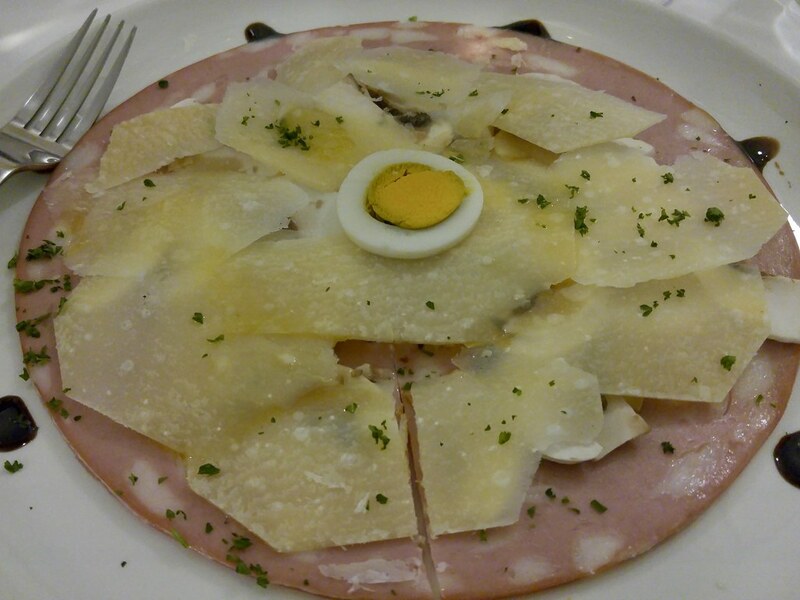 This restaurant is a short walk outside the pedestrian center of the city, not far from the Porta Adriana. We were the only tourists there for lunch on that Wednesday. The owners and staff of this place were very welcoming and the decor was amazing. 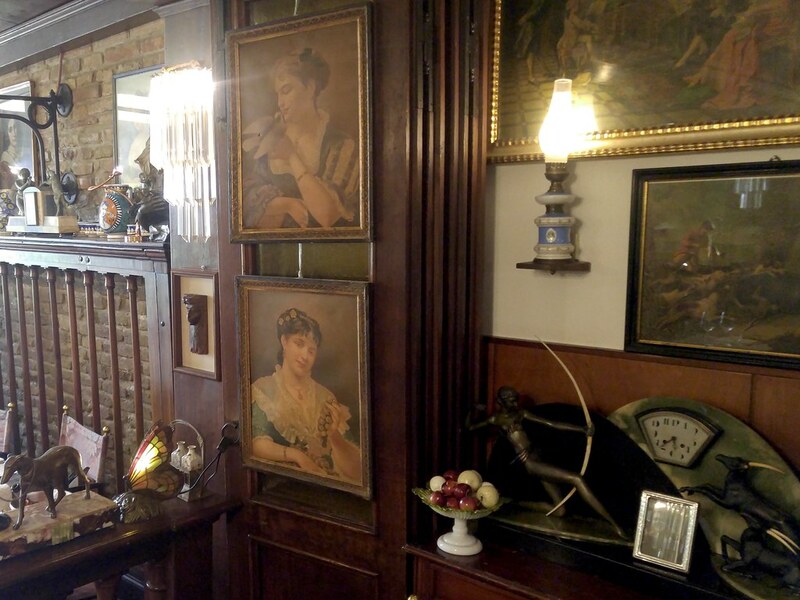 The walls and shelves were covered with portraits, lamps, clocks, and figurines, mainly nymphs with bow and arrow, deer, and hunting dogs. Each table seemed to have its own suite of these items. The food was excellent. I had lightly cured anchovies for my first course and braised pork shank ("stinco" in Italian) with tangy hop shoots (bruscandoli) for my second course, and for the third: the tagliatelle and ragù that my kids couldn't finish. I ordered squacquerone (a very soft and fresh cow's milk cheese) with prunes cooked in a very dark, slightly toasted and bitter caramel sauce. I hadn't been so full or so satisfied by a meal in a long time. Ruth had sea bass and asparagus risotto, which were both very good. It was peak asparagus and strawberry season in Emilia-Romagna, and we ate a lot of each during the trip. 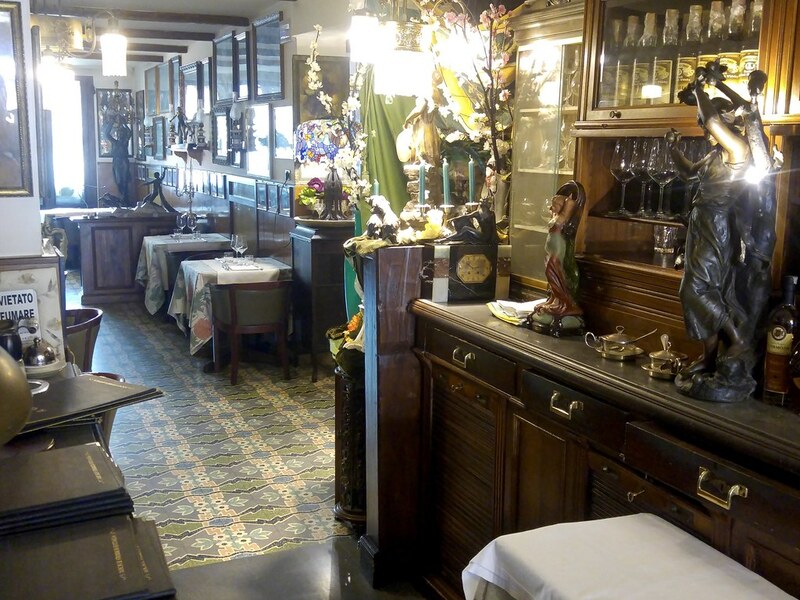 We had equally delicious meals in Bologna, Ferrara, and Modena, but in my opinion the Antica Trattoria al Gallo 1909 had more charm than the other restaurants we visited. One of my other favorite things about Ravenna was seeing bikes and middle-aged people riding bikes, all over the city. Ferrara was even more bike-friendly. 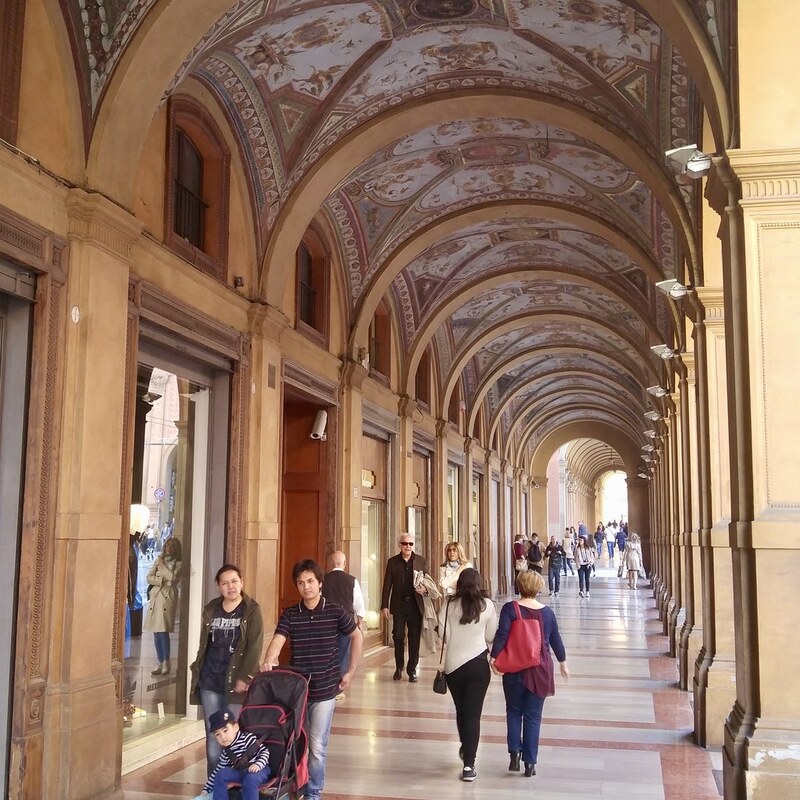 These Italian cities aren't in the same league as Amsterdam or Copenhagen yet, but are less car-centric than Northern Colorado cities of the same size (like Fort Collins or Greeley). 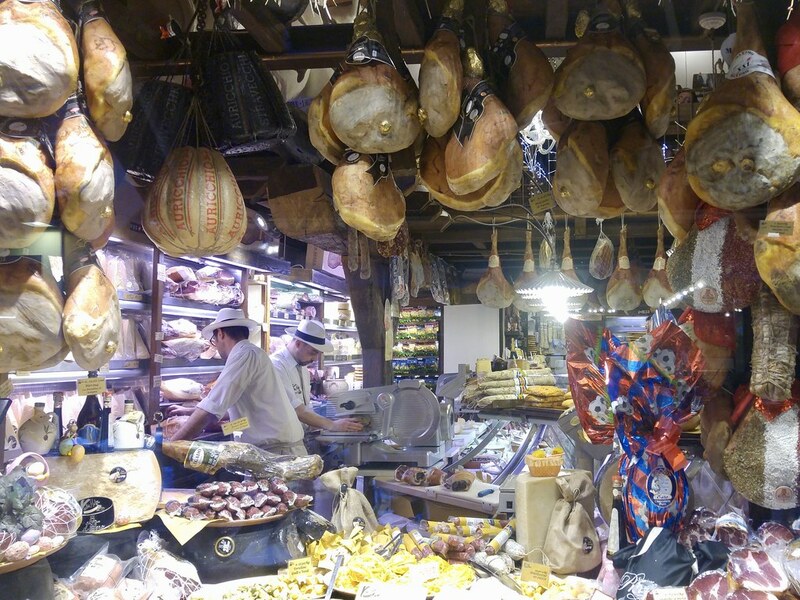 I can't wait to get back to Emilia-Romagna some day soon. I feel like I'm back on track for the Quad Rock. 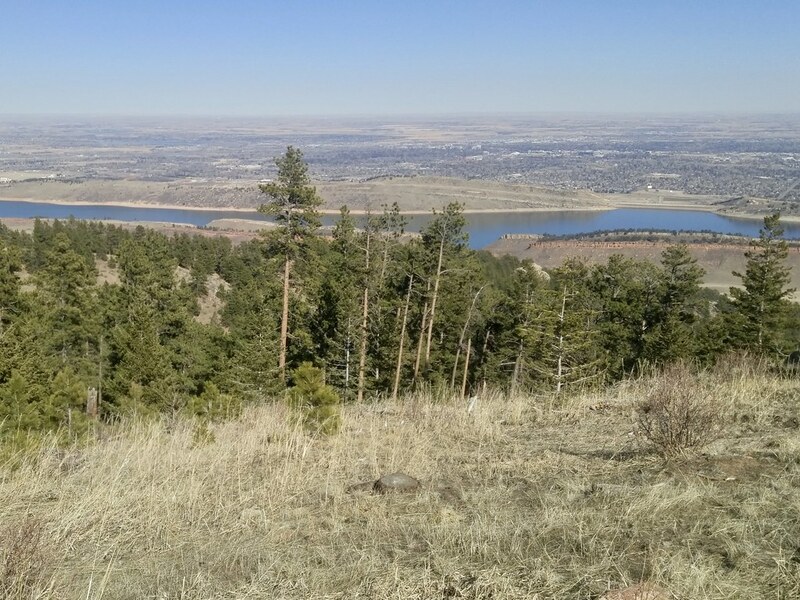 Wednesday I did a long-ish high intensity run on the trails at Pineridge and Maxwell Natural Areas and this afternoon I ran a 20-mile loop around the south half of Fort Collins. I'm so grateful to my family in supporting me during these long Sunday runs! My primary open source project is a Python library for reading and writing geospatial raster data called Rasterio. It's a bridge between the domain of spatially referenced gridded data in GeoTIFFs and the domains of machine learning and computer vision. I get paid to work on Rasterio at Mapbox, which is wonderful, though I don't get to work on it exclusively. The stars have aligned for Rasterio this quarter of 2018, and during April, May, and June I will be working half-time on the project. We're going to have a 1.0 release and here is intro to the plan. Get ready for some beta releases soon. It's soccer season on my blog through the end of May: after three seasons of coaching my oldest's U9 and U10 teams in 2015 and 2016, I'm coaching my youngest's U9 team for the first time. We had our first game today and got routed by a very good team. I talked to the coach afterward and she told me that her kids have been playing together for years and she's been coaching them for 3 seasons. It shows! My team has a way to go before we can hang with a team like this one. Maybe it was the hard ground, maybe it was first game nervousness, but between the two teams, I think we might have set a record for hand balls in this game. This was hard on our volunteer referees, who had to make a lot of decisions to call or not call based on advantage, which was unfortunate. It was a tough game to call. Sunday, my family and I kicked off spring break by going to an early showing of Black Panther. We enjoyed every bit of it. 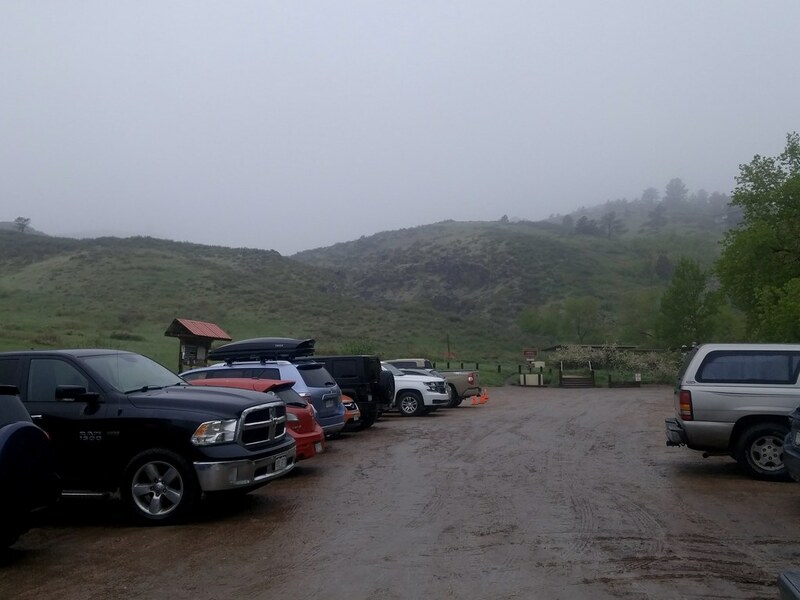 Afterwards, I drove to the Timber trailhead at the north end of Lory State Park to do my first run this year on the Quad Rock course. I planned to run up to 27 kilometers, the first 1/3 and last 1/3 of the 25 mile course, with a couple shorter options. I can see about half of the terrain of the race from my deck and there's still some snow up there. I wasn't sure what the conditions would be, but the park websites said all the trails were open, so I went to find out. 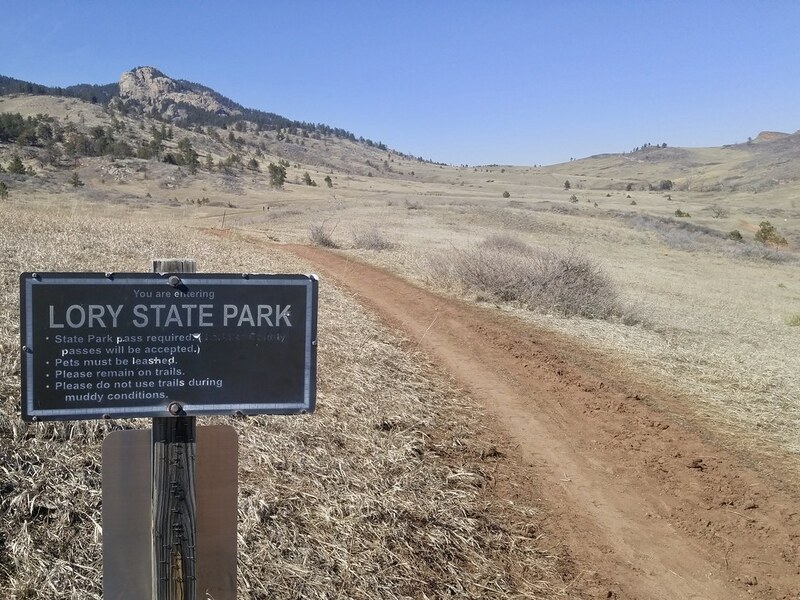 In the flatter and sunny parts of Lory, whether below or above, the trails were mostly dry. The wooded, north and east facing, stretches of the trail were often muddy and/or icy. I wasn't able to descend any faster than I could climb and fell behind schedule for making it back to my car before the park closed, so I cut out the last climb to Arthur's Rock and returned by the trail I'd come in on. 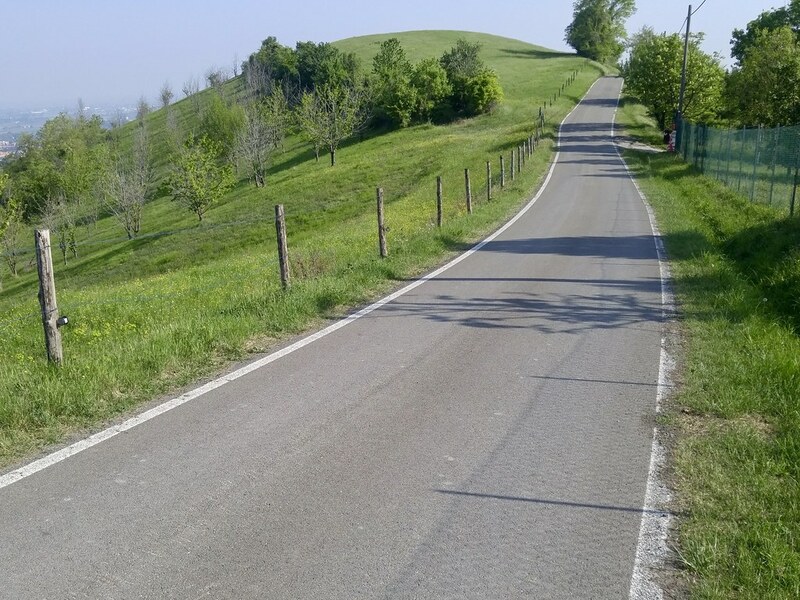 I did my best to take it easy and go at a comfortable pace, and ran 20 km and climbed 600 meters in 2 hours and 45 minutes. I'm so glad I did an early recon run. 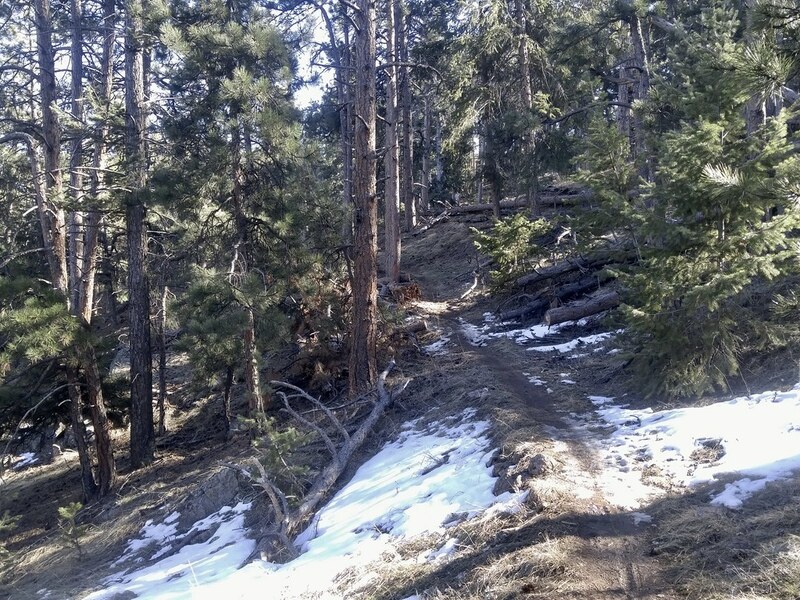 I've never run to the top of Lory so early in spring (or late in winter, depending on how you look at it) and enjoyed seeing the snow and little frozen waterfalls. It was also good to get a reminder of how much more fit I need to get over the next 2 months. 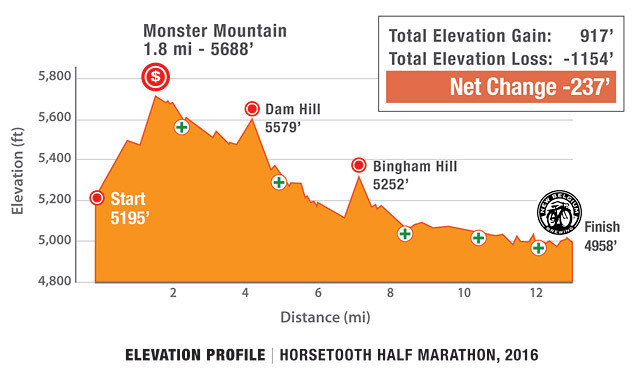 This is a tough course with 3 big climbs. I only did one of them and can feel it today. I tried out some new gear on this run. 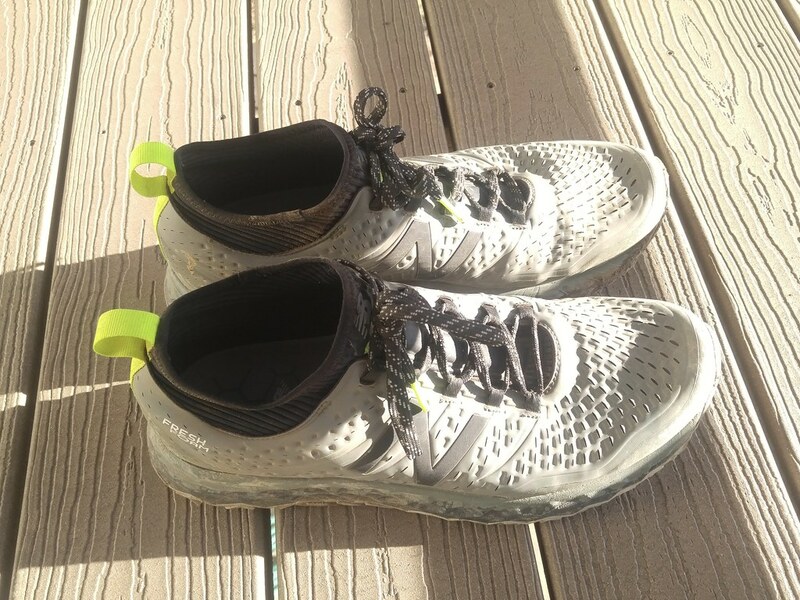 The Fresh Foam Hierro is the shoe that's replacing the NB Leadville, which I wore in the Trail Quillan. I like them better than the Leadville. They're well cushioned, fit my feet well, and the vibram sole is suited to the rocky, gritty trails here. As far as I can tell, they're going to be fine for the race.